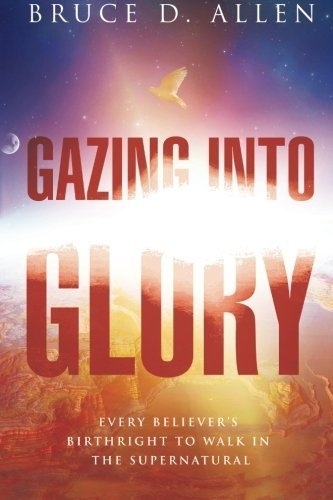 Gazing Into Glory reveals the Lord's intent for spiritual manifestations to become your normal Christian experience. This book rests on solid biblical support and is built on modern-day, real-life supernatural experiences. You too will discover the true essence of the glory of God. There has been a growing hunger and passion in the hearts of God's people-- birthed by the Holy Spirit-- to more fully walk in the spirit and access in a more specific way all that the Word indicates is yours. You are encouraged to use Gazing Into Glory as a roadmap as you journey into the lifestyle and mindset that God destined for you to enjoy. By expounding upon the power and benefits of the Glory of God, the scriptural manifestations of God's glory become more than parables-- they embrace you. Walking in the supernatural is not promised only to a select mystical few. The experience belongs to all believers who choose to pursue the promises of God for themsleves--it belongs to you.